Oh, the incredible wild. While lions, hyenas and magnificent, sprawling African safaris enters the minds of most people, Julie Berthelemy takes us down a different road. Wild and weird are the words that pop up and walk hand in hand down the aisle of our minds as we riffle through Julie’s portfolio. 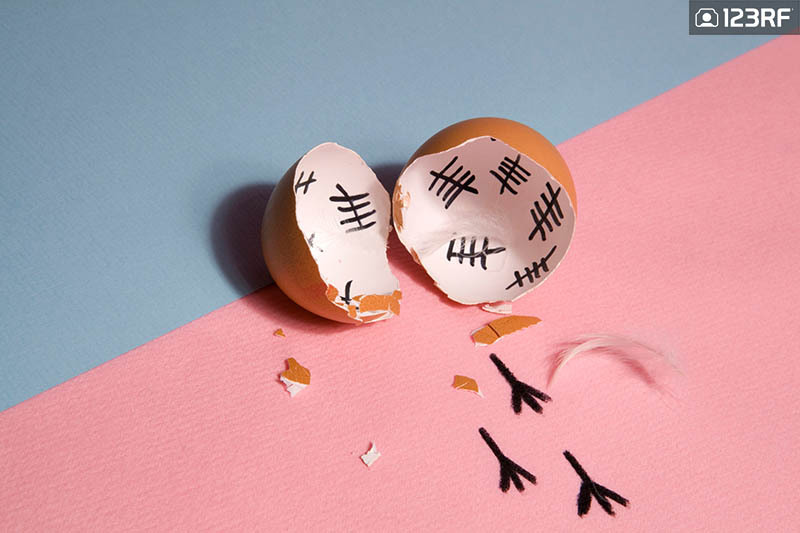 With images that utilize the element of surprise, Julie’s photos never fail to intrigue all corners of the mind. 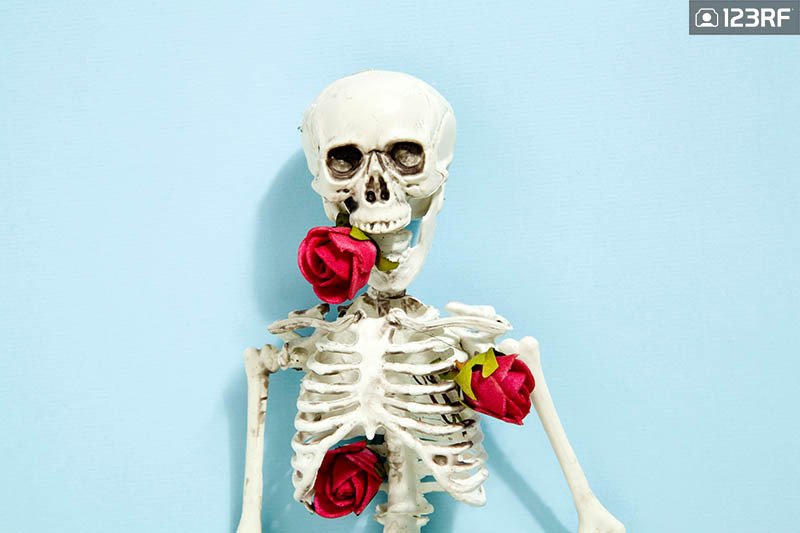 Finger cupcakes, a light soup consisting of severed fingers, grinning skeletons posing for the camera, and bejeweled fish — you’re Halloween-ready. Even if freak week has just passed, there’s no set rule that says you can’t live it up all year round. Some fish have led a good life. This chilli has died a gruesome death. You have to let them dry off first, Regina! Broccoli florets with a twist. This plant is all eyes. Let’s ignore the elephant in the room, Peggy. Tea? This T-Rex has fallen in love with you. I try to provoke poetic encounters with accidents. I think of a color, an object and I shift the look, I decontextualize it. Color is very important to me because it gives a touch of optimism to everyday life. Sometimes, a simple object that we come across everyday highlighted on a tonic color gives it another value: we look at it differently. We change the definition that reduces it to its function. It’s a bit like magic. Color gives wings and provokes wonder. Drag out your inner freak and get down to dancing with the peculiar. Attention-grabbing, eyebrow-raising, curious scenes that work to pull any viewer into Julie’s imaginative realm. Similar to how Julie yanks the attention of your eyeballs, use her images to portray an identical effect with your creative designs. 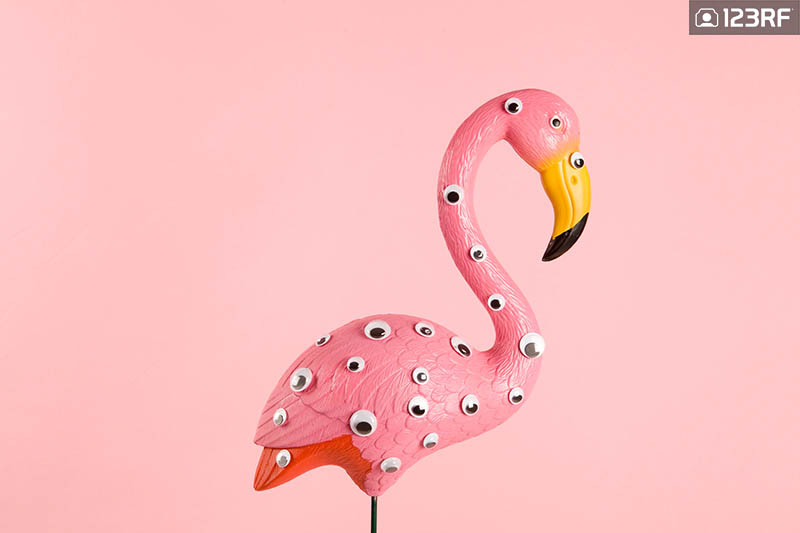 This flamingo has no blind spots. I always ask myself these questions before choosing a photo subject: how will I be able to give magic in the present moment, what could cause a change of perspective on what surrounds me, how could I give myself a smile by looking around? Life is beautiful, and color gives it a dynamic burst and frames it. Ready for grabbing potential converts on your web banners and online ads? 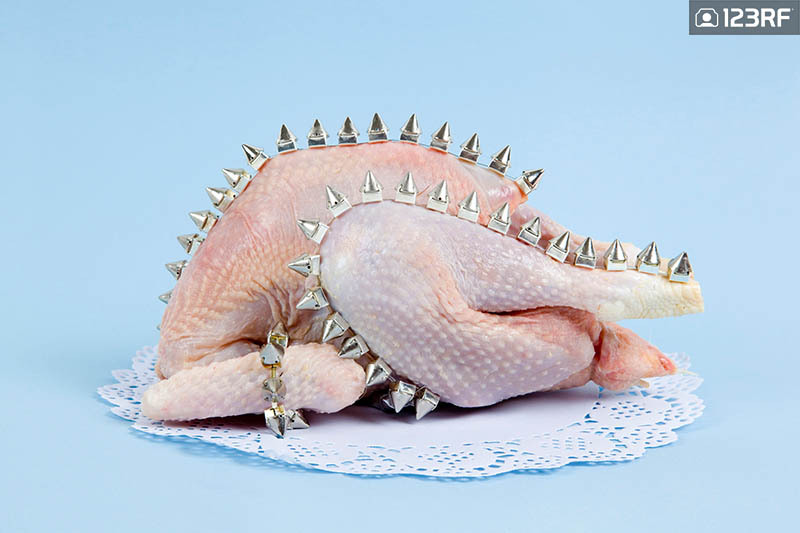 Maybe you’re more into what other normies might classify as gross — Barbie-meat sandwiches, raw chicken adorned with classic punk spikes. Contrasting colors with a saturated filter enhances the concepts of Julie’s photography. Sure, they’re quirky, fun, and unconventional. And the best part is that they work great as attention-grabby phone covers, enamel pin designs, personalized wallpapers. About to go shopping with a radish-patterned tote? Heck yes. 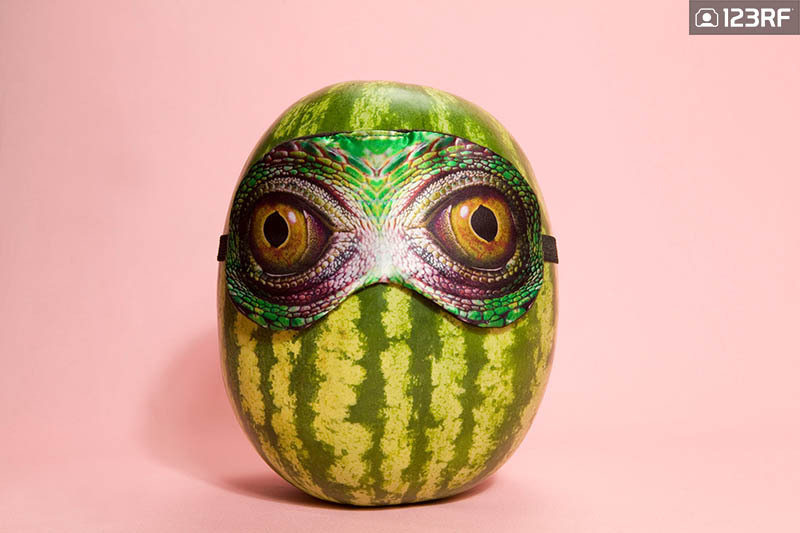 A masked watermelon staring into your soul ironed on your t-shirt? Suit me up, buddy. Add them to your website backgrounds, kooky posters, or postcards. 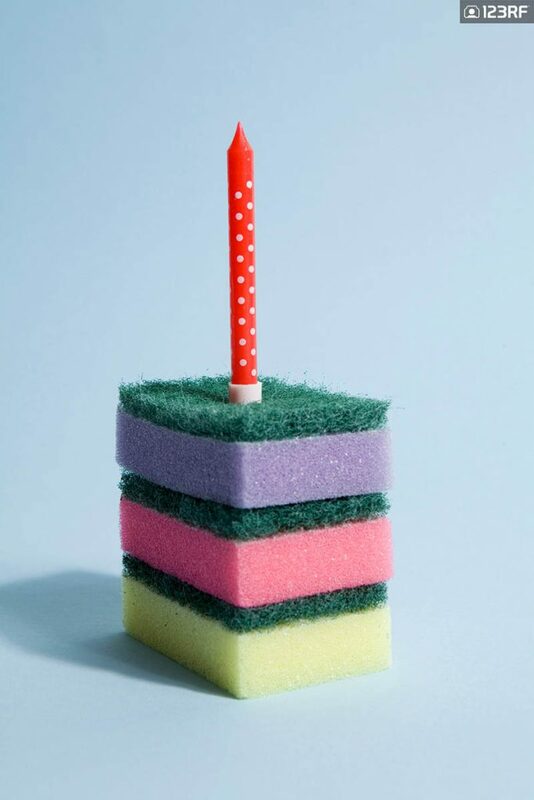 You know you want some sponge cake. Think about it. This photo, on your wall, with a weirdly appropriate quote. Boom. It’s finally free, guys. The real question is… where is it now? A quirky shot of a very lucky banana. A mask-wearing watermelon. Hello there. 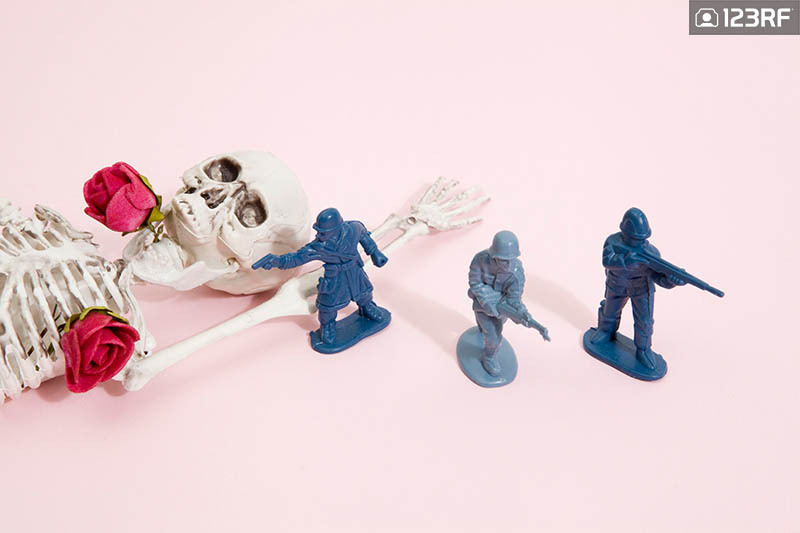 The works of Belgium-based photographer Julie Berthelemy tells you to embrace the eccentric and take a walk on the weird side of life. Slide some weird onto, say, your notebook as a printed divider or a cover. All eyes would be on your custom-print notebook cover, and you’ll stand out from the crowd. 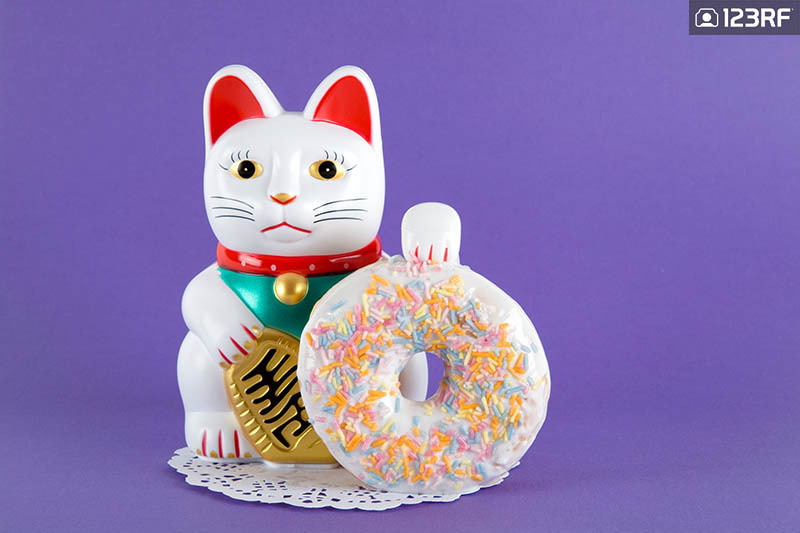 Maneki neko with a doughnut. Werewolf-masked woman on a sofa. 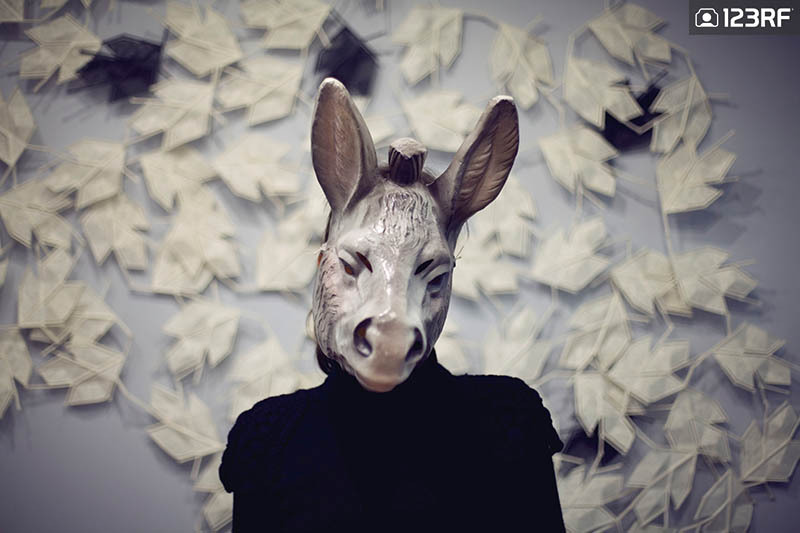 A woman wearing a donkey mask. 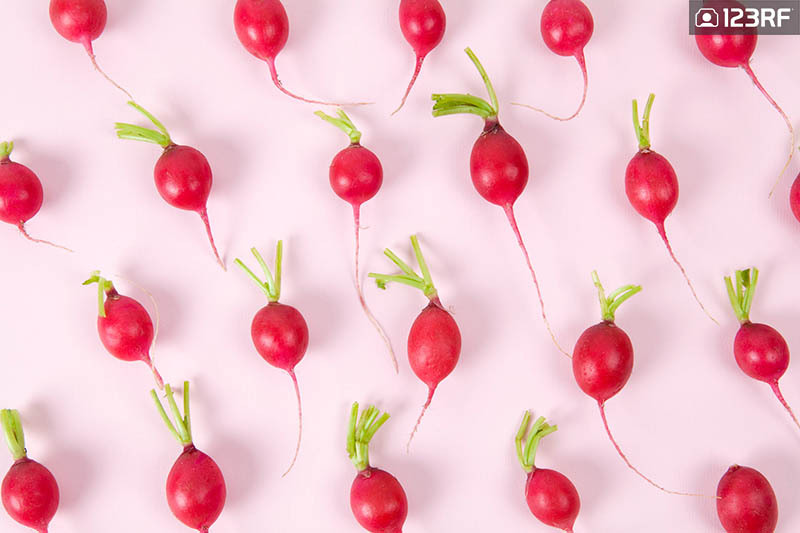 Radish pattern on a pink background. A harmony of colors between pink and red. 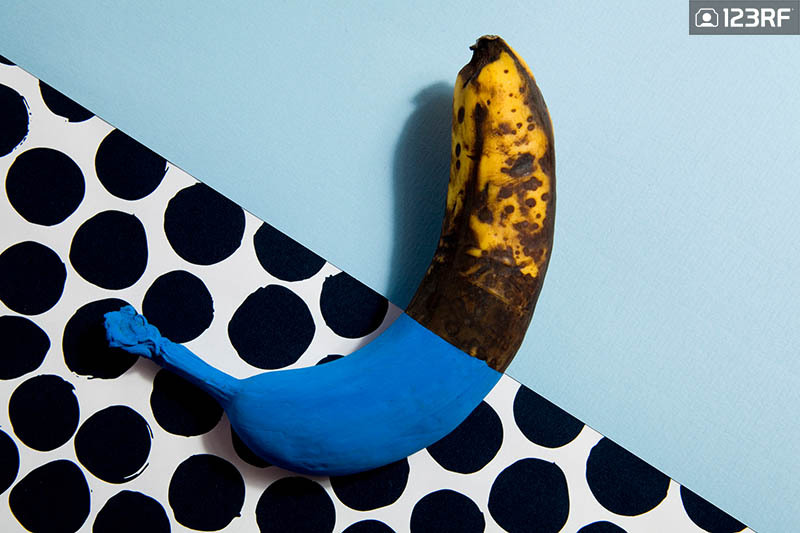 Minimal color still life and quirky photography. Explore Julie’s work right here on her portfolio. Hungry for more incredible artistic content? Check out our featured collection of talented artists.